Properties in Coronet Peak average 4.6 out of 5 stars. Property 14: The Spruce Hus - Studio by the lake. The Love Shack... Live the dream! Property 18: The Love Shack... Live the dream! Private & Peaceful in Central Queenstown with off-street parking. Property 22: Private & Peaceful in Central Queenstown with off-street parking. Property 28: One bedroom apartment with lake views! Property 33: Frankton HOT TUB!!! - Location is Everything! 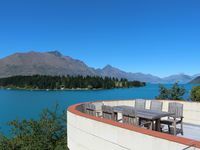 Expansive home in the Heart of Queenstown with Stunning Views. 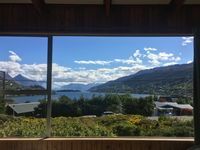 Property 46: Expansive home in the Heart of Queenstown with Stunning Views.